This taste just like Chili's Salsa! Place all of the ingredients together into a food processor or blender and puree until smooth. 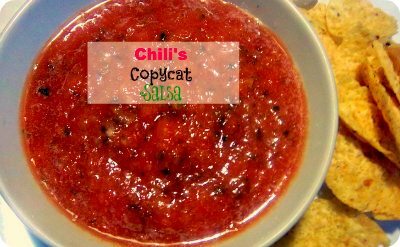 If you enjoyed this Copycat Chili’s Salsa Recipe, make sure to check out our Copycat Zax Sauce Recipe or our Copycat Chick-fil-a Lemonade recipe!